Martell Cordon Bleu is a masculine, sharp and mighty cognac - with clear Borderies notes. Good pepper hints, a round experience; a master product. 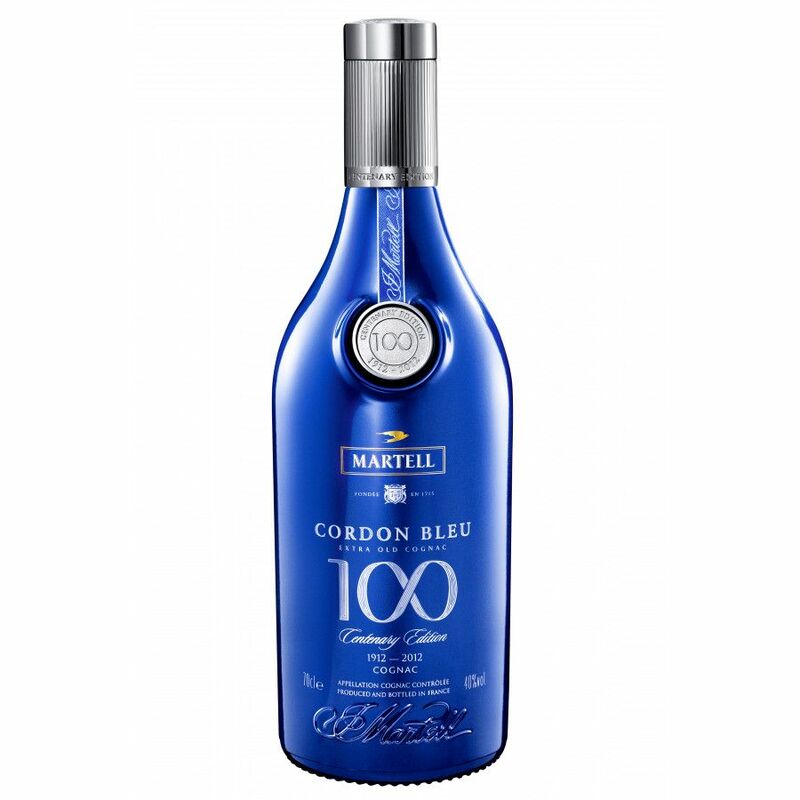 Martell Cordon Bleu Centenary 100 is a limited edition box by Martell, celebrating a century of this Cordon Bleu. By the way, we went to Monaco and celebrated the occasion with Martell - presenting a luxury boxed edition. 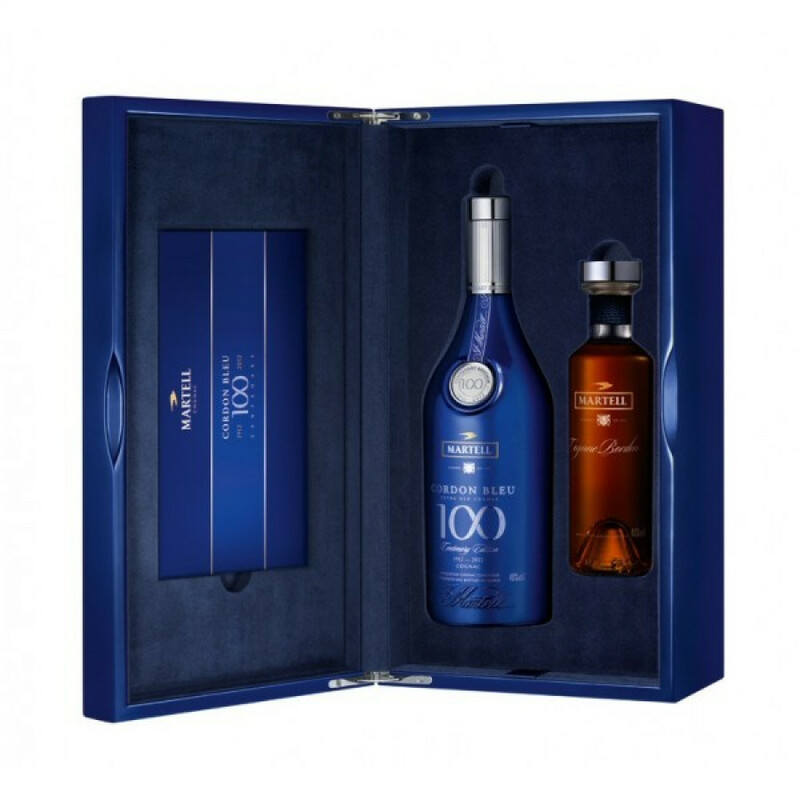 The set features an exquisite blue version of the classic bottle, a very simplistic design, with the 100 as an infinity symbol. The set also includes a 'montre' (that's a taster's bottle) with a Borderies blend by maitre, Benoît Fil. Martell originally released the classic Cordon Bleu in 1912, at the Hotel de Paris in Monaco. In 2012 the cognac house celebrated this centenary with a huge event, and this wonderful special edition cognac. Eye: Coppery amber color. Nose: Typically an oaky and juniper aroma. Leathery with a hint of sweet. Palate: Spicy, wood, buttery vanilla tones. A hint of coffee and almond. A long finish that lasts over 20 minutes.